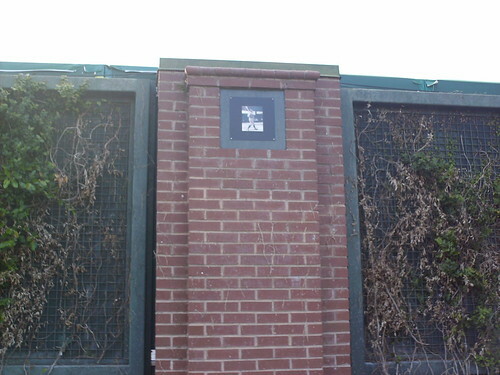 The brick work outside the park features images from throughout the history of baseball. 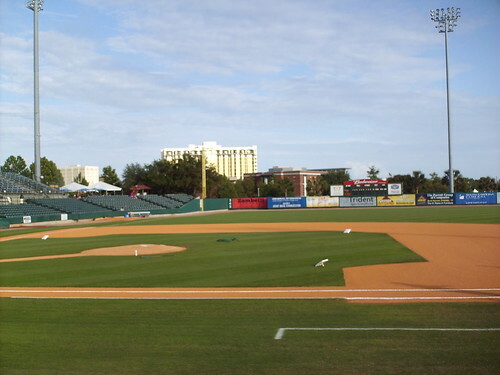 The view from behind home plate at Riley Park. 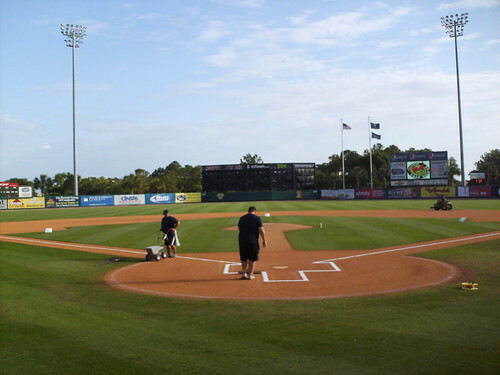 The view from down the first base line before a game. 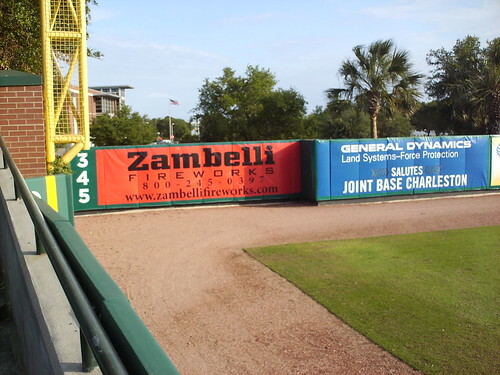 The grandstand is asymmetrical. 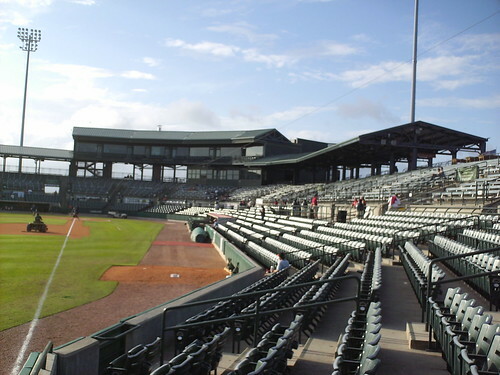 Luxury suites on the roof extend from the pressbox to the right, but not to the left. 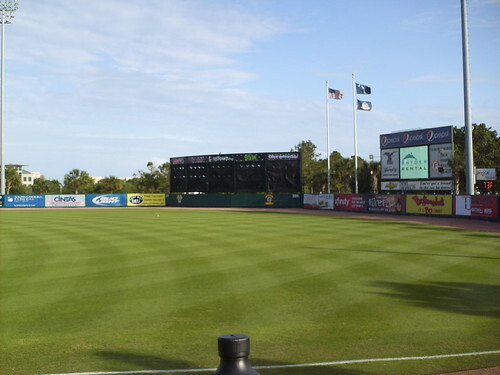 The outfield corners, scoreboard and batter's eye. 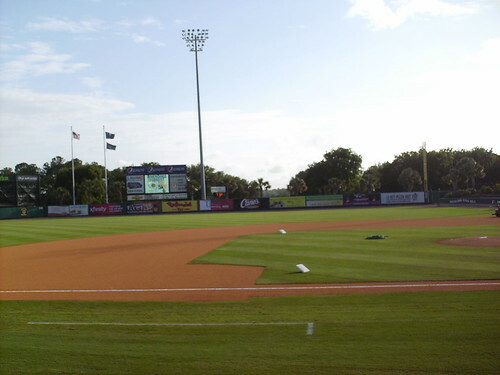 The outfield juts out to 345 just at the end, creating an alcove in the left field corner. 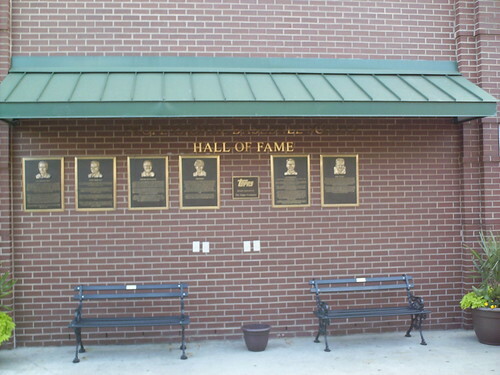 The Professional Baseball Scouts Hall of Fame exhibit on the wall outside the ballpark. 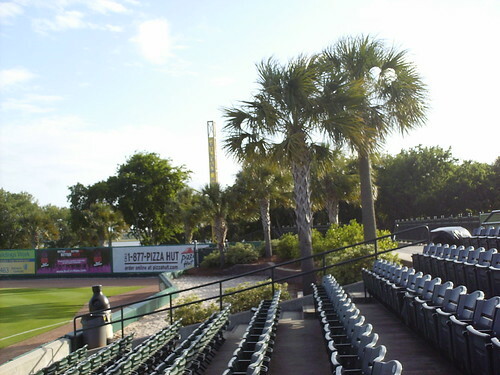 South Carolina palmettos provide shade on the sandy berm in right field. 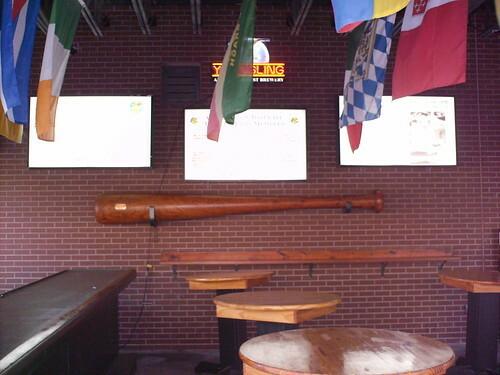 A giant baseball bat on the all of the bar in the Riley Park concourse. 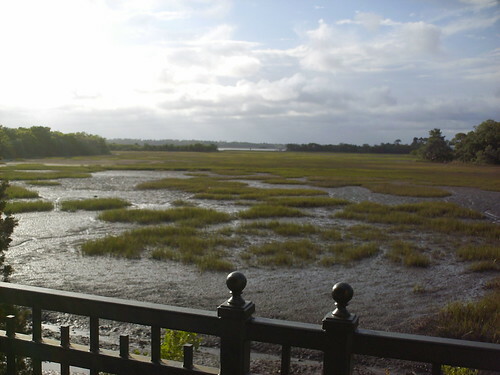 South Carolina swamp-land provides the scenery from the ballpark concourse. 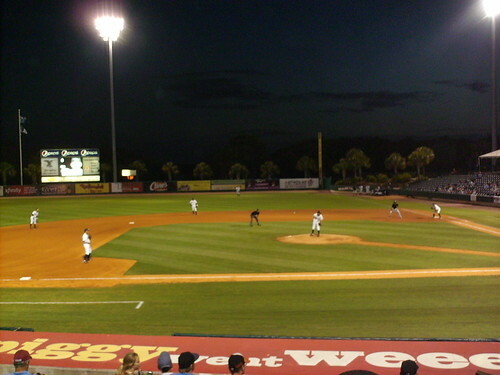 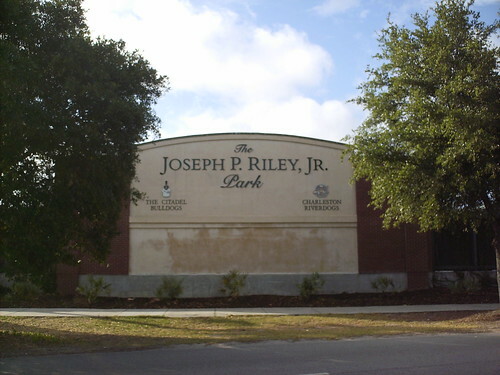 The Charleston RiverDogs on the field at Joseph P. Riley, Jr. Park.